Ivanka Trump is now officially an employee of the U.S. government. The White House announced Wednesday that she will take no pay and serve as an assistant to the president. The role comes after NBC News confirmed earlier this week that the first daughter would have an office in the West Wing. Her role was first reported by the New York Times. In an emailed statement to NBC News, the White House said the administration was "pleased that Ivanka Trump has chosen to take this step in her unprecedented role as First Daughter in support of the President." She sought on Wednesday to assuage concerns about the ethics of a family member working so closely with the Oval Office by offering assurances the position is unpaid and that she would follow federal ethics rules. "I have heard the concerns some have with my advising the president in my personal capacity while voluntarily complying with all ethics rules and I will instead serve as an unpaid employee in the White House Office, subject to all of the same rules as other federal employees," she said in a statement. "Throughout this process I have been working closely and in good faith with the White House Counsel and my personal counsel to address the unprecedented nature of my role." Her attorney said in a statement that Trump will file the financial disclosure forms required of federal employees and be bound by the same ethics rules. The White House described the move as one that would harness her talents to impact policy. 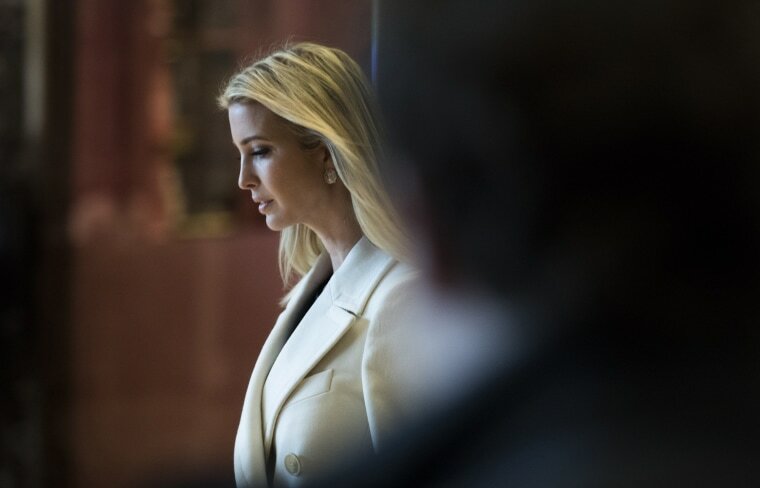 "Ivanka's service as an unpaid employee furthers our commitment to ethics, transparency, and compliance and affords her increased opportunities to lead initiatives driving real policy benefits for the American public that would not have been available to her previously," the White House said in a statement. Ivanka's husband, Jared, also serves in the administration as a senior adviser. He was recently appointed to head a new White House office that seeks to solve government problems with a business sector approach. The two have been described as a "power couple" to NBC News, who have an increasing level of sway in the administration. Shortly after the election, Trump told CBS News' Lesley Stahl on 60 Minutes that she was not going to be part of the administration. She said she would advocate for wage equality, childcare, education and promoting more opportunities for women. "There are a lot of things that I feel deeply, strongly about," she said at the time. "But not in a formal administrative capacity." According to NBC News presidential historian Michael Beschloss, this is the first time since Eisenhower when the child of a president worked for their father in the White House. Jimmy Roosevelt worked for President Franklin D. Roosevelt in late 1930s. John Eisenhower worked as deputy staff secretary for President Dwight D. Eisenhower in late 50s, Beschloss said. “These were both obviously before the Bobby Kennedy law,” he added referring to the anti-nepotism law enacted after President John F. Kennedy tapped his brother to be U.S. Attorney General in the 60s. Kristen Welker and Mark Murray contributed.